VAM 61 - Doubled 18, O Set Left is a pairing of Obverse Die 23 with Reverse Die l. As of January 2019 we have only twelve examples of VAM 61 for examination, so a lot of material to work with. 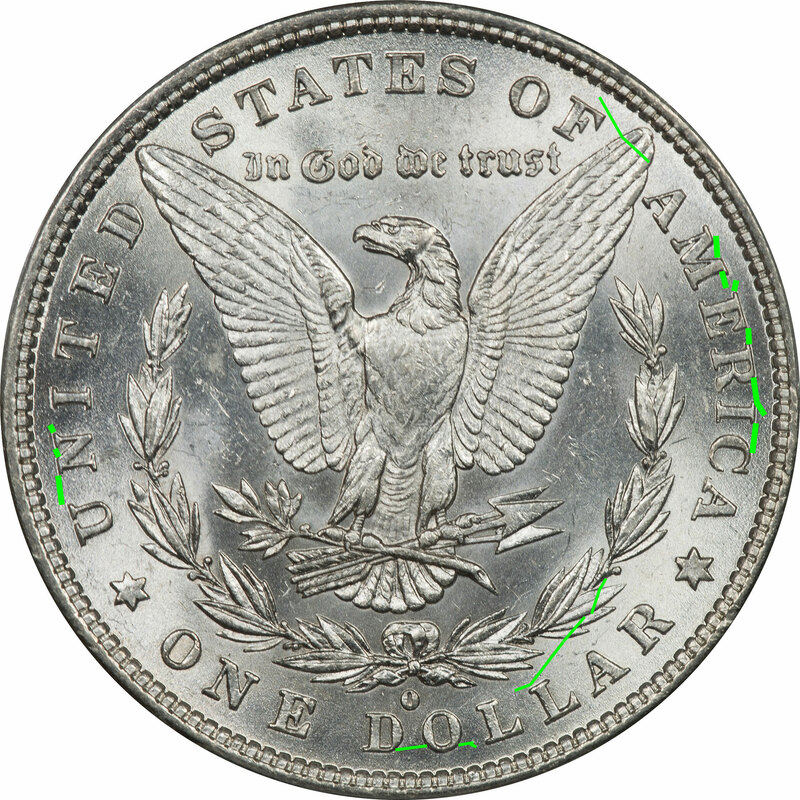 On the obverse there is only one small area that shows any die cracks at about 3 o'clock. 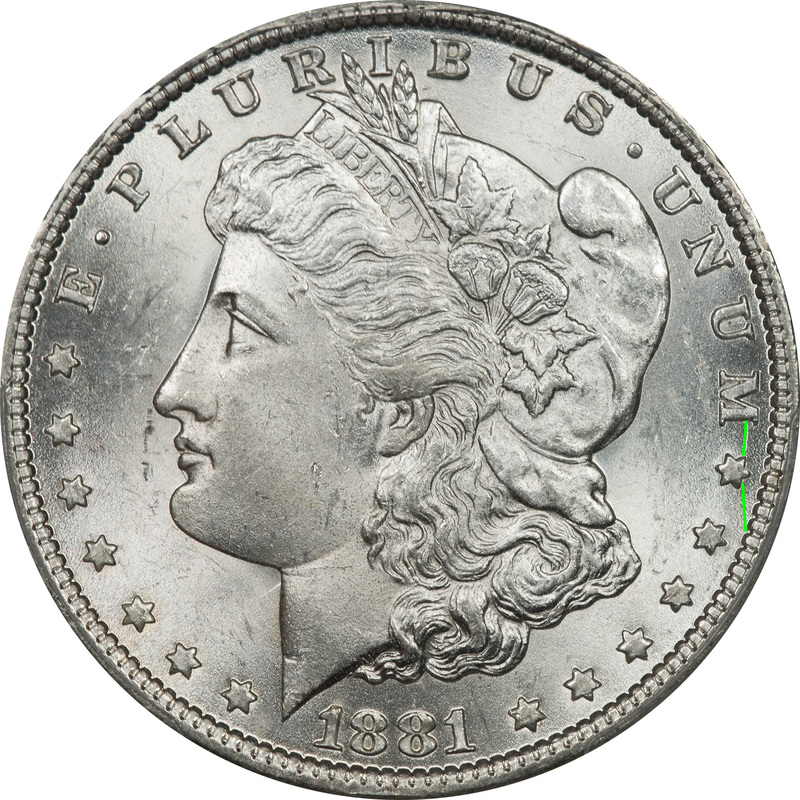 There is a series of die cracks on the reverse die that seems to be present on at least six coins, but like the obverse they are just starting to appear so they are not well advanced.